Ahead of my visit to my 100th country, I have finally released an e-Book of my first ever travel blog. This book was written by me back in 1991 on my first ever journey away from Northern Ireland without my parents as I embarked on a school trip to the Netherlands. The book is a short 26 page account of that first journey, containing original text from my first ever hand written travel blog, photos from the original book and my reflections, 24 years on. The book was written in April and May 1991 into an old school notebook and has now been published digitally for the first time in March 2015. The reason for the release of this, my first ever travel blog, is because I wanted to do things in order, so I’m releasing my first ever travel blog first and later there will be the bigger and better book that has been a long time coming. This is just a mini taster. Anyone interested in buying it, I have it on sale for $5.99 through e-junkie.com. 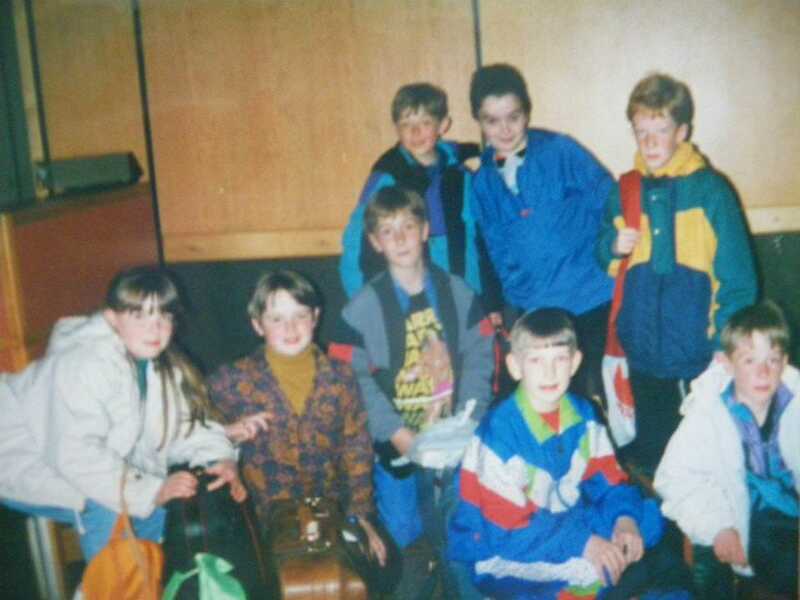 My First Ever Travel Blog is Jonny Blair’s first ever travel diary, dating back to a school trip to the Netherlands in 1991 when Jonny was just 11 years old. It is a short eBook with text lifted directly from the hand written diary that Jonny made back in 1991 when he left Northern Ireland without his parents or family for the first time. The story details Jonny’s five day trip to the Netherlands, the first trip that set Jonny off on this mighty fine journey around the planet. 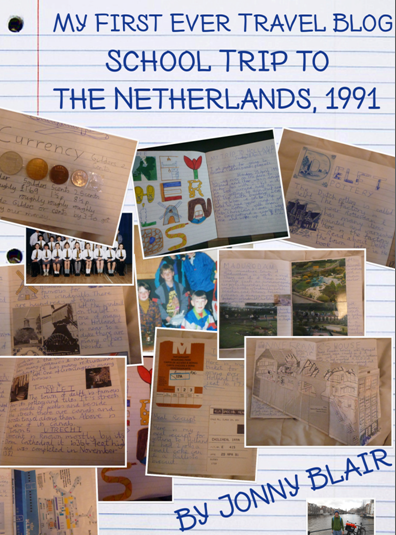 In the book Jonny also reflects on his time in the Netherlands in 1991 and how that trip influenced his wanderlust and desire to go on a journey through over 100 countries. A journey which he currently documents on his travel blog “Don’t Stop Living”. What a great reunion !